Interwoven Hat in fall issue of Knitcircus! 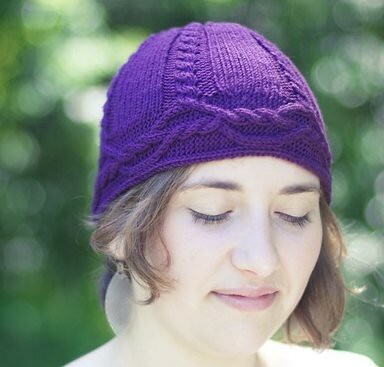 My newest pattern is called Interwoven, available in the new fall 2011 issue of Knitcircus. It's a quick cabled beanie with an unusual twist - the cables start winding around the horizontal brim, and then they continue up the hat. Who says cables can only go in one direction? Break out of the box and knit them any direction you like! The hat is available in three sizes and its classic style means it would suit either a man or a woman. Cables create a nice thick fabric, and it would be super-cozy in a wool yarn. What a twisted way to keep warm!